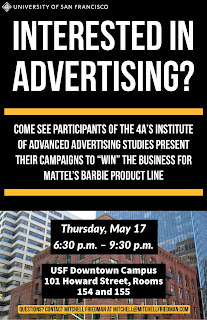 I've been posting regularly over the last few months on my social media accounts about a program I run in San Francisco, the 4A's Institute of Advanced Advertising Studies (IAAS). 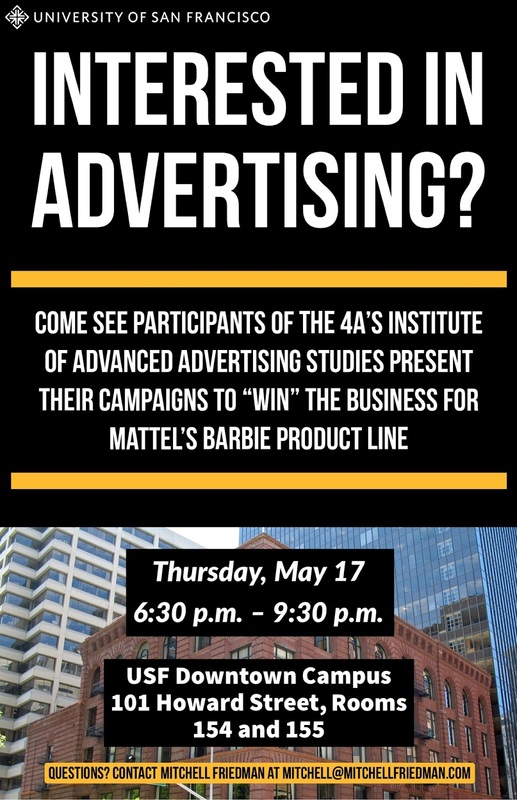 We're coming to the end of this year's effort, which culminates in presentations by three teams attempting to "win" the business of this year's client, Barbie. The presentations will be held at University of San Francisco, 101 Howard Street, from 6:30-9:30 p.m., on Thursday, May 17, 2018. The flyer to the left, developed by students in University of San Francisco's MA in Professional Communication program, provides the details. The IAAS program, held annually at select locations across the U.S., is designed for junior professionals with one to five years’ experience. 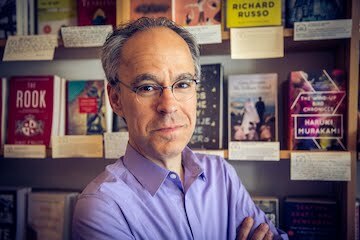 The opportunity to work with these young professionals as well as senior-level practitioners from throughout the advertising industry has been a rewarding professional and personal experience during the seven years I've directed the program in Northern California. You'll see why if you attend this May 17 event. I hope to see you then!